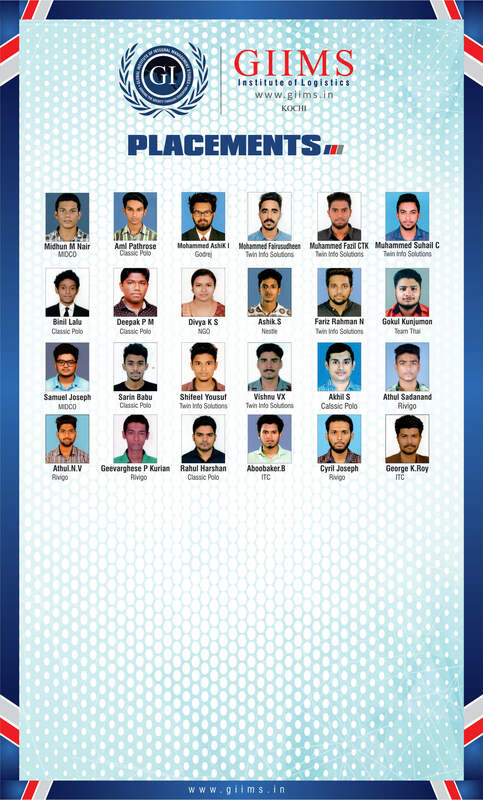 After the classroom study of Diploma in Logistics and Supply Chain Management (DLSCM) P.G.Diploma Logistics and SCM and Global Masters in Logistics and SCM GIIMS assists students in Internships and placements with various national and International companies. 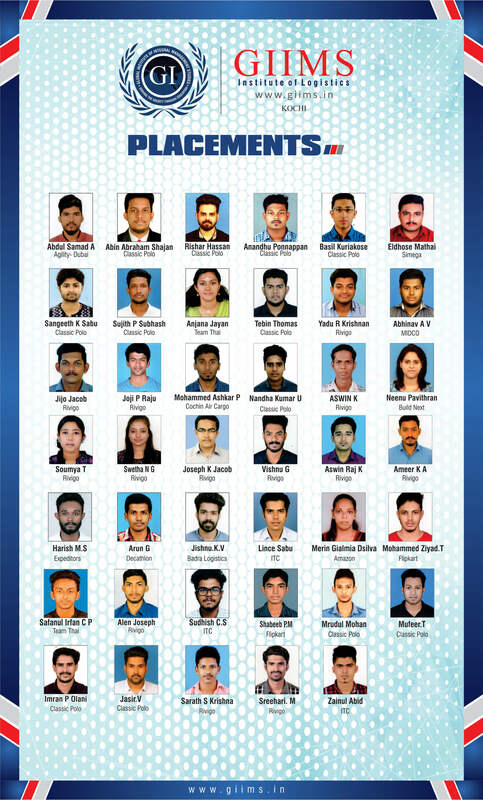 Logistics and Supply Chain Management (LSCM) is a job-oriented course, in order fulfill the logistics human resource requirements in India and abroad, GIIMS – Institute of Logistics conducted courses in its campus in Kochi. GIIMS is committed to train students to be equipped for a job in logistics industry. Experience is an unavoidable factor in getting a job. Internship is a form of work experience and work knowledge given by an employer to students to give an exposure to the working environment in the logistics industry as a social commitment. Internship differs from person to person and company to company. Some company managers may be excellent teachers but some may don’t have time to teach the interns or some are not aware how to teach interns. Establish specific goals to reach during internship period. Identify yourself in the areas you need to build your career, expertise and knowledge. Interns should take everything and experiences in positive attitude and positive manner. One should be a keen observer and keep a note book and note down key work flow chart, identify key decision makers and different ways the works are done in an organisation. He or she can verify the old documents maintained in the organisation cabinets and clarify doubts with person assigned or people involved in the job or activity. An intern should visit the company website and the articles of the company, magazines in the premises. Also the company personals or written materials available online and offline. An individual should try to become part of the company culture and follow the guidelines, rules, procedures, policies practices by the company. Adaptability and adjustments to company norms is the key to survival in a job. One should take small responsibilities of work at the company and should do work with sincerity according to company’s expectations and needs. Writing down things happened in a day will help self to compile and prepare the Internship report. Report and documentation to be done simultaneously in regular period and softcopy maintained and shared with Company coordinator and faculty coordinator. 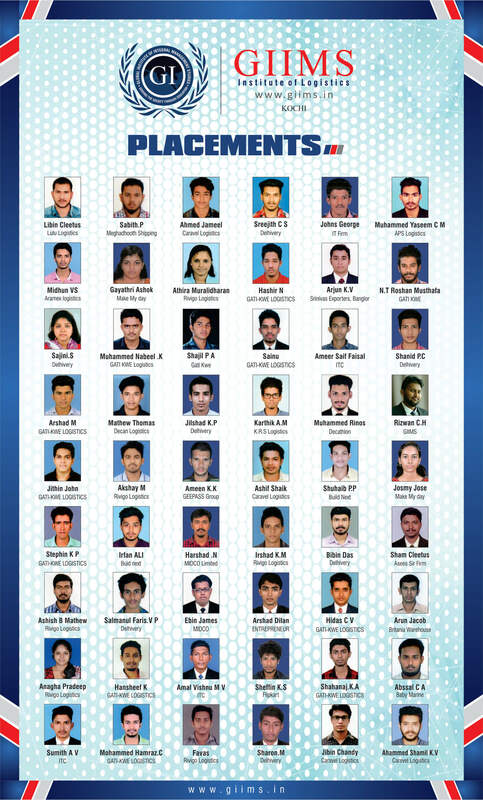 Placement Team of GIIMS will provide you an on-the-job training and will be as valuable as from the classroom. You cannot really understand a job, until you have worked in the environment. Placement assistance is provided to those who meet the criteria’s set down by the Institute. Students should attend classes regularly with submission of class & subject assignments on time, Internal Marks and participation in various activities conducted by Institute from time to time are key factors taken into consideration for Placement assistance to students. 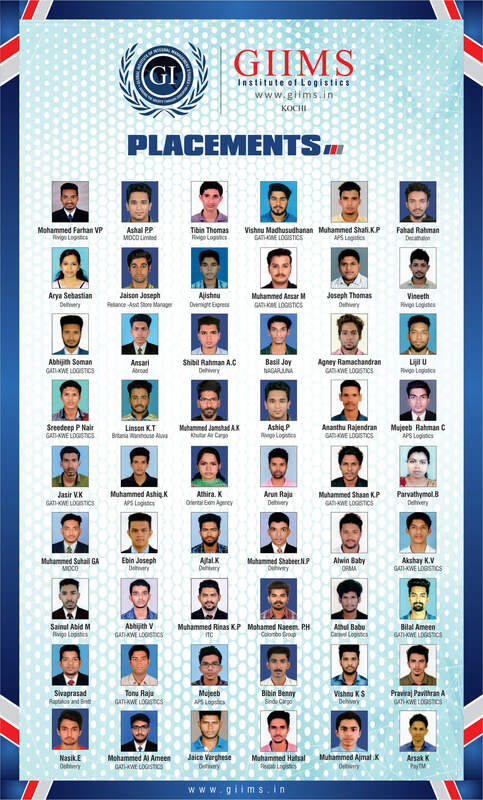 Students are to honour offer given by respective company and join for a period of atleast 2-3 years with the company. Every Job –oriented course has specific goals towards making students compatible to Industry norms and expectations. Opting for higher education / higher studies / special courses / trainings. Entrepreneurship or starting your own business / enterprise. What are the placement assistance provided by GIIMS? 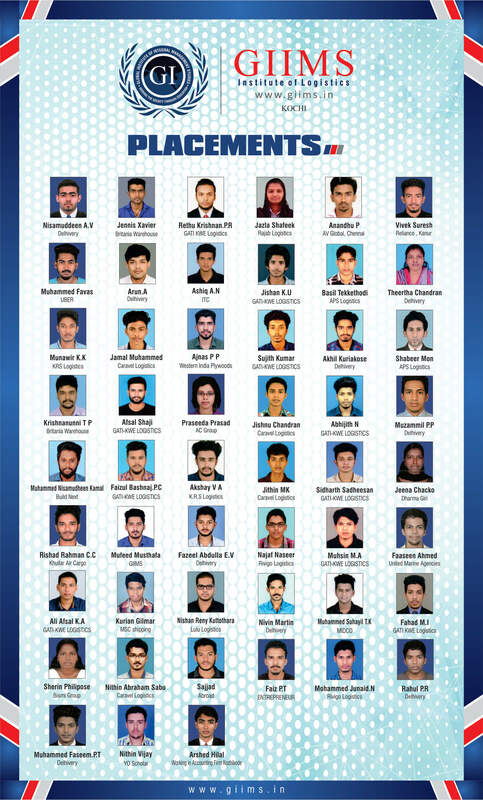 Students are given sessions in Soft-skills, English Communication Skills, group discussion techniques, and Aptitude test which are the screening methods used by the organizations these days. Arranging Internships, Industrial visits, Guest lectures and other Industry-Institute interaction activities. Career Counselling & Development Centre. 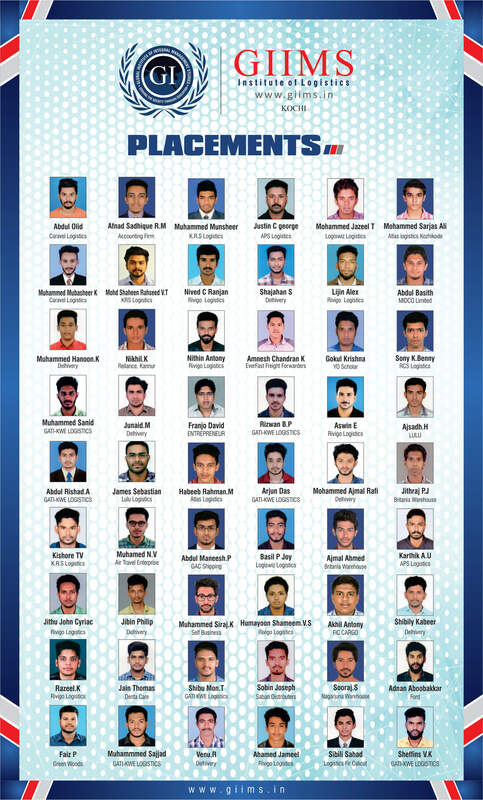 Orientation Programmes for Students on latest technologies and development in the Industry. Entrepreneurship Guidance and Awareness Programmes through Officials from Kerala Institute of Entrepreneurship Development (KIED) or Micro Small and Medium (MSME), and SME Bank Officials. How to register on different jobsites? How to send resume with covering letter? How to find a job of your own? How to start a business of your own? Thorough subject knowledge in logistics, Supply Chain Management and process Export Import procedures and Documentation. Logistics is the backbone of international relationship of a country. A Logistician has to go, stay and deal internationally as the part of his job so .English Communication is a must in today’s globalised economy. Adaptability, adjustments with various nationalities, native people, locations and areas. Self-Introduction with focus on self-Strength’s, Achievements in college and schools, Logistics & SCM definitions, Internships, Industrial Visits, Projects and Hobbies in daily practice for 5 minutes in front of mirror in English. Ms-Office, Ms-Excel, Ms-Access latest versions operations and formulas. Typing speed of 30 words minimum on desktop/ laptop using both hands. Knowledge on all domestic and international Logistics Documentation. General knowledge and ability to speak on associated with logistics definitions, Supply Chain Management terms, companies and industries. Group Discussion topics and knowledge to speak in English. Aptitude Test Questions (Maths, Quantitative, Comprehension Reading) – Answer time 30 seconds per questions solving using shortcut methods. Ready to work for night shifts and to work anywhere in India for 2-3 years. Tackling Self-attitude problems, handling critical situations, key decision making ability with proper time-management. PAN Card, Driving license, Aadhaar Card (Photo ID Proof) original and photocopies required by employers during intake for Internships and placements. Resume / Biodata (1-2 page) with Colour Passport size Photograph. Read different English newspapers Industry section, magazines newsletters of EXIM India and logistics companies etc. Read different Job Descriptions of Logistics and Supply Chain Management Companies. Visit websites of Logistics and Supply Chain Management Companies. Case Studies and Presentation on different topics in industry and trends in Logistics and Shipping industry.